The magnificent Romanesque Revival nave of St. Cecilia Parish in Boston was the venue Monday night for the Vespers of 1610 by Monteverdi. 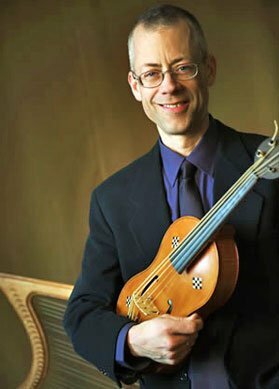 Scott Metcalfe directed 27 of the region’s leading early-music singers and instrumentalists in Tenet/Green Mountain Project’s fourth consecutive performance of a series begun two days earlier at the Church of St-Jean-Baptiste in New York. The Vespro della Beata Vergine work known today as the Vespers of 1610 has been familiar to music historians for at least a century but came to the attention of the musical public rather more recently. At least three arrangements for modern forces that came out after World War II made this one of the first examples of music from before the 18th century to enter the 20th-century mainstream. The BSO even performed it here in 1974, under Michael Tilson Thomas, with Susan Davenny Wyner, among the soloists; just last month in San Francisco, Thomas conducted the concluding Magnificat. Yet the work’s purpose, contents, and basics of intended performance practice and form have all been mysterious, setting off vigorous specialist debates. In intensity these have approached the better-known and not unrelated disagreements concerning Bach’s choir composition. Some have held that Monteverdi’s Vespers, like Bach’s Art of Fugue, was never meant to be offered in its entirety, yet it does seem to have been composed for a ceremonial celebration during the composer’s lifetime. But it was also meant to demonstrate Monteverdi’s capabilities as a composer within an idiom—music for the Roman Catholic liturgy—with which he had not yet been identified at that point in his career. Unlike Bach’s masterpiece, it dates from the middle rather than the end of a career. Moreover, it was probably intended to serve as a portfolio that would help the composer get a better job—not as a collection of pieces exemplifying expert composition for students. Just three years later Monteverdi did gain a more prestigious position, moving from the ducal court of Mantua to the Basilica of St. Mark in Venice. But the Vespers, although sharing things with the music of Gabrieli, Monteverdi’s great Venetian predecessor, had no exact precedents, nor did it find any exact imitations. As published, the Vespers comprised 13 compositions: five large choral psalm settings; four motets mainly for smaller groups of voices; a hymn whose stanzas are set for varying numbers of voices and instruments; a unique Sonata for eight instruments, joined by a single voice that enters periodically to repeat a brief prayer to the Virgin; and, enfolding all, a brief versicle, based on the famous Toccata that opened Monteverdi’s Orfeo of three years earlier, and a concluding multisectional Magnificat. Monteverdi provided two versions of the Magnificat, one for six voices and another for seven, with instruments; naturally we heard the latter on Monday night. We also heard six chanted antiphons, such as would have been added in an actual Vespers service to precede each of the psalms and the Magnificat. Absent were the additional instrumental pieces which certain conductors, notably Andrew Parrott, sometimes substitute for some of the antiphons, following the practice of Monteverdi’s time. I’ve described the music and its background in detail because without it one can’t fully understand either Monteverdi’s achievement or that of the Green Mountain Project. Assembling these components into a satisfying presentation is no easy task. The director must choose from different editions and conflicting scholarly opinions about such fundamental matters as pitch, instrumentation, and order of the movements—and of course the number of singers. Despite critiques, Metcalfe by and large followed the findings of Parrott, whose views, set forth originally in a 1984 article in Early Music, remain persuasive to most specialists. Until last night’s performance I hadn’t felt the unqualified admiration that the work instills in many. The style is distinctive, although one must speak here of at least two distinct styles. The motets, for one, two, or three solo voices (always with organ continuo), resemble in a general way the similarly scored settings of secular poetry that Monteverdi published during the following decades in his last two books of madrigals. The motets share with them an intense musical rhetoric, seemingly reflecting an urge to paint musically every affective or pictorial phrase in the text. This has been criticized by musicologist Gary Tomlinson as rendering the composer’s secular works of the period mannered and incoherent. The psalms and the Magnificat, on the other hand, incorporate the so-called reciting tones, which would have been chanted in an everyday Vespers service. Consisting largely of a single repeated note, these “tones,” when embedded within Monteverdi’s polyphony, produce stretches of music based on a single harmony. All the busy counterpoint and embellishment sung simultaneously by the other voices cannot disguise the essentially static nature—however ingenious Monteverdi’s varying ways of incorporating the reciting tone into the texture, and however grand the sound. Hence another challenge for the director of a complete performance is to avoid longueurs in the psalms, while encouraging the soloists toward a coherent and unmannered interpretation of the motets. Beyond that, every movement poses other challenges, often profound, for players as well as singers: virtuoso figuration for the soloists, tricky rhythms and counterpoint for the ensemble. How well did they succeed? Metcalfe’s elegant notes mentioned minor departures from the version printed in 1610, chiefly a few instrumental doublings of some of the vocal parts. I also noticed use of three singers rather than one for some of the sustained cantus firmi, the prolonged reciting tones around which Monteverdi constructs his counterpoint. Presentation by a group makes the cantus firmi marginally less expressive or individual, particularly in the Sonata. But these lines, which look simple in the score, can be taxing when sung by a soloist. They also can become inaudible, swamped by the busier surrounding music. Comprising at least 30 distinct numbers or movements, the Vespers lasted nearly two hours without intermission. The varied scoring and placement of singers and players within the church led to an elaborate choreography that went off without a hitch. I don’t know how closely the positioning of the musicians resembled what would have occurred in a historical vespers service, but having the types of music—chant, choral polyphony, certain individual vocal or instrumental parts—emanate from different locations added to the diversity of effect. The body of performers usually stood in place at the front of the audience, grouped in one or two semicircles around a small portative organ and two lutes (which played throughout, as continuo). Singers ranging from one to 10 were flanked on either side by instruments: six strings and five winds. The first antiphon was chanted by a second group of singers, standing behind the main group, but most of the subsequent antiphons were chanted from the organ loft at the back of the church. When not needed in a given piece, singers and instrumentalists walked to the side after subsequent numbers began to ensure continuity. Thus there was no applause until the end, when the entire ensemble received the standing ovation it deserved. Also a fine violinist, Metcalfe directed the opening versicle and response while also bowing, as he did in other portions of the program. Most of the larger pieces were directed in conventional manner; the smaller ones went off without a conductor. In reviewing an event where every participant stood out, it is burdensome to cite every individual, number or moment, yet there remains much to say. The chanted antiphons were done with the exquisite attention to phrasing and intonation that we have come to expect from the singers, several of whom also work with Metcalfe’s Blue Heron. The style was probably not that of Monteverdi’s day, rather a modern one approximating some sort of medieval practice—but reconstructing early Baroque chant remains unexplored territory. In the polyphonic movements, lively tempos and expressive, at times dramatic, singing reduced the danger of monotony even in the more austere numbers. I wondered a little about this approach only in two psalms, “Lauda Jerusalem” and especially “Nisi dominus,” whose elaborate opening in 10-part counterpoint tends to blur at the rapid speed Metcalfe chose. But perhaps this was Monteverdi’s intention, and only at this tempo could the subsequent dialog between the two five-part choirs of this psalm have attained the intensity it did. Over the course of the evening, ensemble artistic director Jolle Greenleaf formed in many numbers a marvelous pair with fellow soprano Molly Quinn. Particularly expressive was Greenleaf’s exquisitely shaped solo on the final line of the motet “Pulchra es.” Quinn brought unexpected drama to many of her own solos, notably in passages within the first psalm, “Dixit dominus.” Equally imaginative was the addition of small ornaments to the cantus firmus, which I noticed particularly from Jason McStoots in the “Laudate pueri”; this helped reduce any possibility of his part sounding merely dutiful. The ending of this heavily scored psalm, in which most of the voices and instruments drop out to leave McStoots and fellow tenor Owen McIntosh in unison, was at once surprising and striking. In the motet “Duo seraphim,” McStoots not only gave a vivid display of the demanding coloratura but also led the ensemble with perfect timing. On this basis alone he would have to be considered among America’s finest early-music specialists—which is not to take anything away from the splendid singing of his fellow seraph McIntosh or the equally agile figuration of tenor Brian Giebler, who joined them at the end of this motet. “Nigra sum,” the first of the motets and in modern terms a tenor solo, was sung beautifully by Aaron Sheehan. Another motet, “Audi coelem,” received a powerful presentation from Sumner Thompson, listed in flyers as a tenor but described in the booklet as a baritone, reflecting that Monteverdi’s tenor parts lie low by modern standards. “Audi coelum” requires strength in the low register and sweetness on the (relatively) high notes, both of which Thompson provided abundantly. He also furnished a shattering “omnes” (Everybody!) at the climactic moment in the motet, calling for six singers to join him at what Metcalfe described in his notes as “the most directly personal and touching moment of the work.” It was indeed the most affecting portion of the concert, unless that occurred with the following antiphon, “Ecce Maria,” which was chanted by several of the men standing in the center aisle, effectively within the audience. The Magnificat, like the Sonata, is as much instrumental as vocal. I noted in particular the strong singing of Thompson and baritone Jesse Blumberg in the “Et exaltavit.” To this the recorders and trombones provided a splendidly quiet contrast in the “Quia respexit.” The recorders, heard only here, were intoned ably by cornettist Opsahl and trombonist Greg Ingles, with the reliable Mack Ramsey and Erik Schmalz on the lower brass. Metcalfe contributed fine violin playing to the “Fecit potentiam.” In the ensuing “Deposuit,” an inspired effect was produced as Matthews and Opsahl turned away from the audience—and from their instrumental partners Metcalfe and Tollaksen—to give the impression of distance as they echoed the latter. Echos, a favorite Baroque device, were also heard in “Audi coelum,” where Blumberg sang perfectly, albeit invisibly, from behind the choir. The “Esurientes” calls for two altos to sing phrases of quiet sustained tones without accompaniment, alternating with the instruments. Brackett and Warnken likewise accomplished this task perfectly, remaining on pitch. In the final “Gloria patri,” the echoing coloratura of baritones Thompson and Mischa Bouvier, singing from opposite sides of the choir, was as strong and exhilarating as if it were the beginning of the program. Yet this did not preclude lovely continuo accompaniment in the quieter parts of this movement from lutenists Hank Heijink and Daniel Swenberg. Jeffrey Grossman’s organ continuo work supported the other musicians selflessly and without miscue throughout a long yet engaging evening of most accomplished musicianship. Altogether, this was one of the finest performances of any type that I’ve heard. A model for historical approach, fitting imaginative and passionate execution to scrupulous scholarship, it banished all doubts that the Vespers deserves its reputation and that Monteverdi here created something startlingly original and integrated. Ditto. What a joy to read this review. One can almost hear it! St Cecilia, patron saint of music, must be smiling.